More than 72,000 Chinese travelers arrived in South Africa last year, showing stable growth over the previous year, and the numbers from April to September last year increased by 8.6 percent over the same period of the previous year, according to a note South Africa Tourism sent to the Global Times on Tuesday. Chinese travelers have been the main source of tourism income for South Africa. In the first six months last year, the average length of stay was 10 days, the note added. Cathay Pacific Airways opened a seasonal route in November last year from Hong Kong to Johannesburg. Air China initiated a maiden flight from Shenzhen to Johannesburg in January this year. 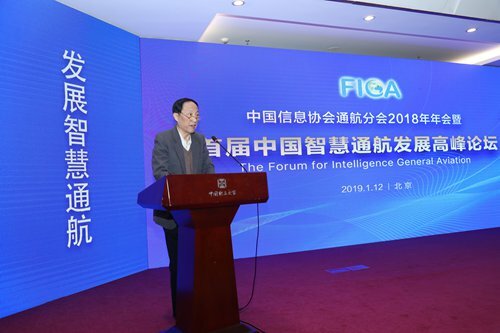 The development of general aviation in China faces significant bottlenecks, such as weak independent R&D capabilities, inconsistent standards, and incomplete low-altitude surveillance flight system, industry insiders warned in a forum for Intelligence General Aviation on January 12. They suggested ways to make high technology such as big data, AI, internet and cloud computing integrate with the general aviation industry. Data from Civil Aviation Administration of China showed that the number of China's general aviation enterprises reached 436 as of December 29 last year, and the number of flight hours reached 868,000 hours. 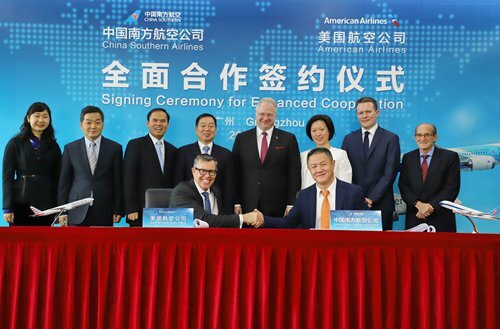 American Airlines and China Southern are expanding their partnership, starting code-sharing this week on additional routes beyond the key gateways in China and the US. The expanded codeshare will also include nine trans-Pacific routes between China and the US starting February 15, 2019. Once this expansion is complete, American and China Southern will codeshare flights to 20 destinations in China beyond Beijing and Shanghai, and 21 destinations in the US, including Los Angeles, San Francisco and New York, as well as all of the carriers' long-haul flights between China and the US.